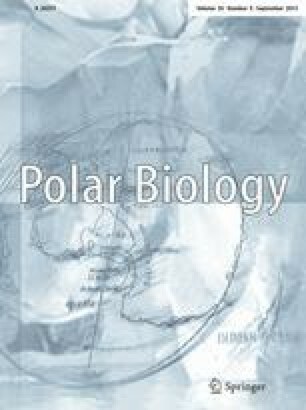 Validation of an enzyme immunoassay to measure faecal glucocorticoid metabolites from Adélie penguins (Pygoscelis adeliae): a non-invasive tool for estimating stress? To monitor adrenocortical activity in Adélie penguins (Pygoscelis adeliae), we validated an enzyme immunoassay (EIA) for faecal glucocorticoid (GC) metabolites. An adrenocorticotropin hormone (ACTH) challenge was conducted on a paired female and male. The EIA for tetrahydrocorticosterone showed a clear response to the ACTH challenge in both birds. After high-performance liquid chromatography using pooled samples generated from the ACTH challenge, and analysing each individual fraction, three immunoreactive peaks were detected. Both biological and chemical validations strongly suggest that the EIA can be a useful tool for non-invasively measuring GC metabolites in faeces of Adélie penguins. We thank K. Barton, P. Wilson, D. Bell, C. Morrow, G. Verkerk, A. Coolman, A. Kuchar-Schulz, K. Allen and T. Day for practical help and advice. We are also grateful to J. Ingram, C. Vleck and one anonymous referee whose comments improved our manuscript. This research was funded and supported by Antarctica New Zealand, the University of Waikato and the Veterinärmedizinische Universität Wien.